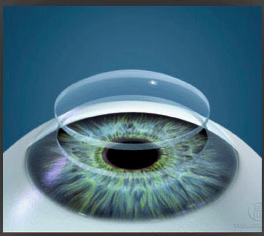 Dr. Pelletier MD, FACS renders care to patients who suffer from many types of corneal problems. Examples of diagnoses commonly treated at Ocean Ophthalmology include keratoconus, herpes simplex keratitis, herpes zoster, corneal infections, inflammations, scars, dystrophies, and bullous keratopathy. While many of these conditions are treated medically, a small percentage will eventually require surgery. Depending on the type of corneal problem present, both of you will discuss and eventually select the transplantation for which you are best suited. Examples of the various types of transplant operations include Descemet’s Stripping and Automated Endothelial Keratoplasy (DSAEK), Penetrating Keratoplasty (PKP), Deep Anterior Lamellar Keratoplasty (DALK), and Anterior Lamellar Keratoplasty (ALK). While corneal transplantation surgery has been available for quite some time, recent advances in the field have brought newer techniques to the medical forefront and even into mainstream news. By a significant margin, however, the most popular new technique remains the DSAEK procedure. The DSAEK surgery is a form of Endothelial Keratoplasty (EK). In this procedure, donor corneal endothelial cells are cut away from the remaining donor tissue and implanted into the recipient without the removal of the anterior portion of the recipient cornea. These cells are then stabilized within the eye with air, until they begin functioning and reversing the corneal swelling which previously prevented functional vision. The benefits of this procedure over previous forms of transplantation may include greater post-operative ocular integrity, rapid visual improvement, fewer follow up visits, and fewer stitches. Briefly, the PKP procedure involves a full thickness corneal transplant, in which the entire cornea is removed and replaced with a donor substitute. DALK and ALK transplantations involve removing either the “deep anterior” portion or the “anterior” portion of the cornea respectively, and replacing these segments with donor tissue. The main advantages in these cases are the retention of the deepest corneal layers or endothelial cells, which lessen the risk of graft rejection. Again, it is natural for corneal transplant candidates to have many questions regarding the various procedures. Please feel free to e-mail or call Dr Pelletier MD, FACS with any questions you might have before scheduling your consultation.